Northern Illinois University alumnus Gaylen N. Larson is among three selected to the 2014 class of the Financial Executives International (FEI) Hall of Fame. Now in its ninth year, the FEI Hall of Fame recognizes highly-respected financial executives for their performance, leadership and integrity. Larson will receive a formal induction into the FEI Hall of Fame on Nov. 17, 2014 during a celebratory black-tie gala at Gotham Hall in New York City, held in conjunction with FEI’s 33rd Current Financial Reporting Issues Conference. Since the FEI Hall of Fame was established in 2006, 26 financial executives from across the country have been honored. Larson, who received his bachelor’s degree in Accounting from NIU in 1962, served as a board member on the Financial Accounting Standards Board (FASB) from 1996 to 2001. His extensive financial career includes positions with Coopers & Lybrand as a director and more than 15 years at Household International, Inc., where he served as group vice president and chief accounting officer. He was also a partner at Deloitte, Haskins & Sells (now Deloitte & Touche, LLP) for nearly two decades. 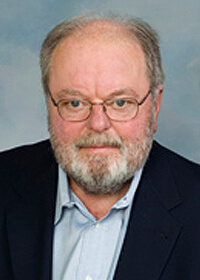 In addition to FASB, Larson is a member of FEI and has served as chairman of its Committee on Corporate Reporting; as a member of the Financial Accounting Standards Advisory Council, as chairman of the Committee of Sponsoring Organizations of the Treadway Commission on Fraudulent Financial Reporting and as a member of the AICPA’s Special Committee on Financial Reporting. In his post retirement, he has served as director of a private company that used the “publicly-held company” governance model.